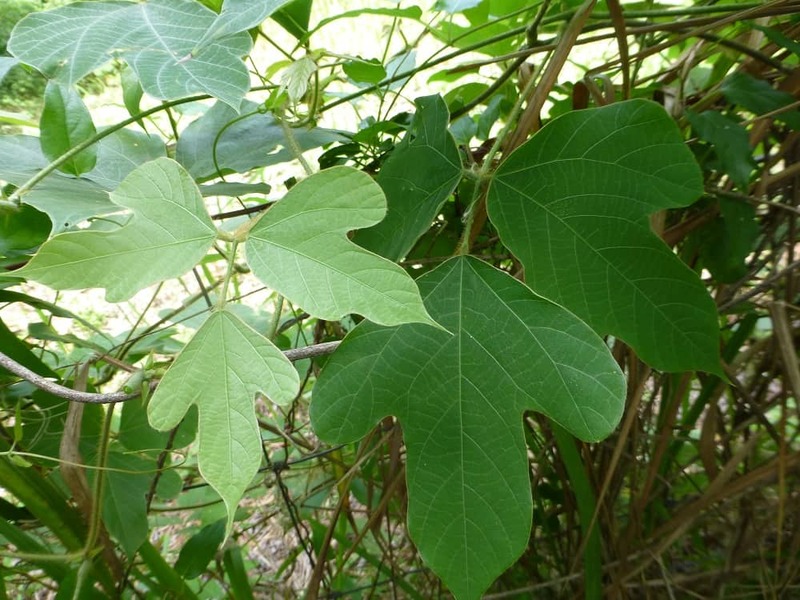 Kudzu (Pueraria montana) is an invasive, introduced, perennial vine that grows to about a hundred feet in length. It is in the Fabaceae, or bean, family. Kudzu was introduced from Japan into the United States as an ornamental shade plant at the Philadelphia Exposition in 1876. Kudzu grows in a variety of conditions. It can grow in full sun to part shade with dry to moist soils. Its lack of preferences give it the ability to grow just about anywhere. 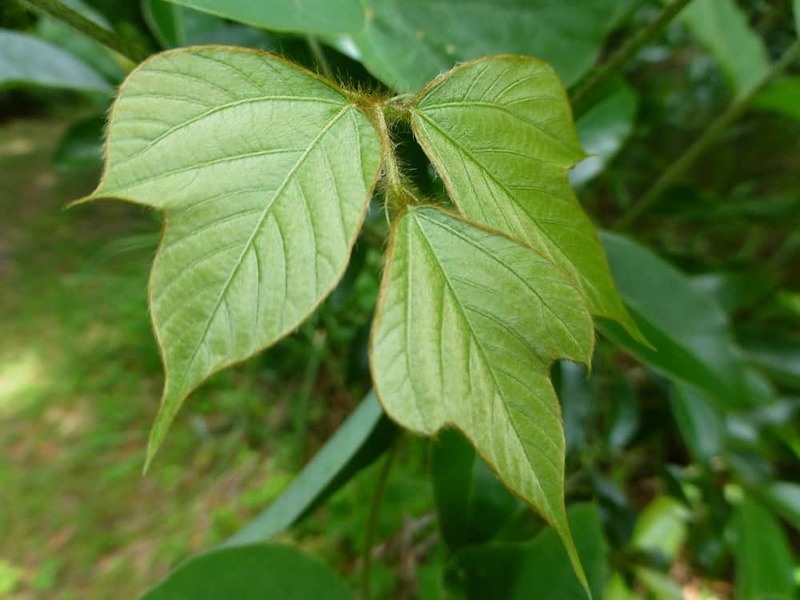 Kudzu has been found in the following states: AL, AR, CT, DC, DE, FL, GA, HI, IL, IN, KS, KY, LA, MA, MD, MO, MS, NC, NE, NJ, NY, OH, OK, OR, PA, SC, TN, TX, VA, WA and WV. It grows so densely that it smothers everything in its path. The vines are very strong and can actually pull the boards of buildings apart if left to its own devices for very long. 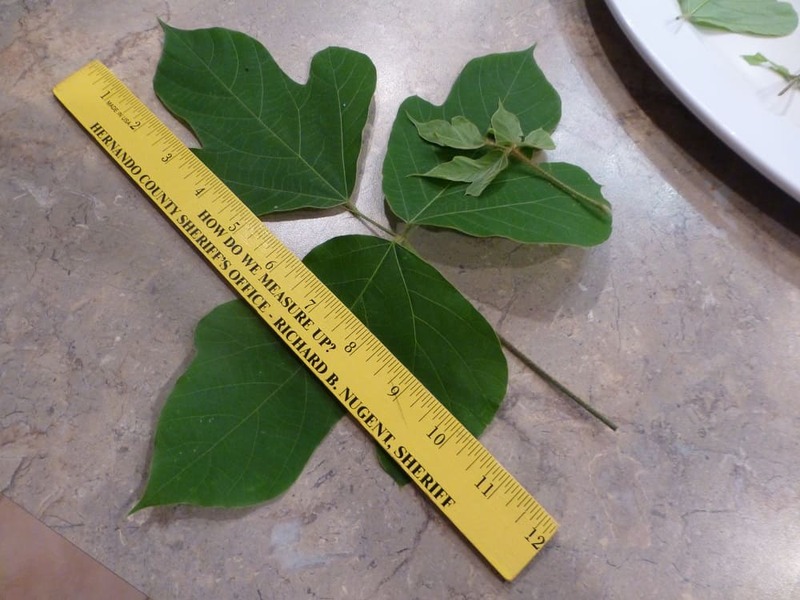 The leaves are alternate and compound with three leaflets. They grow as large as a foot across. 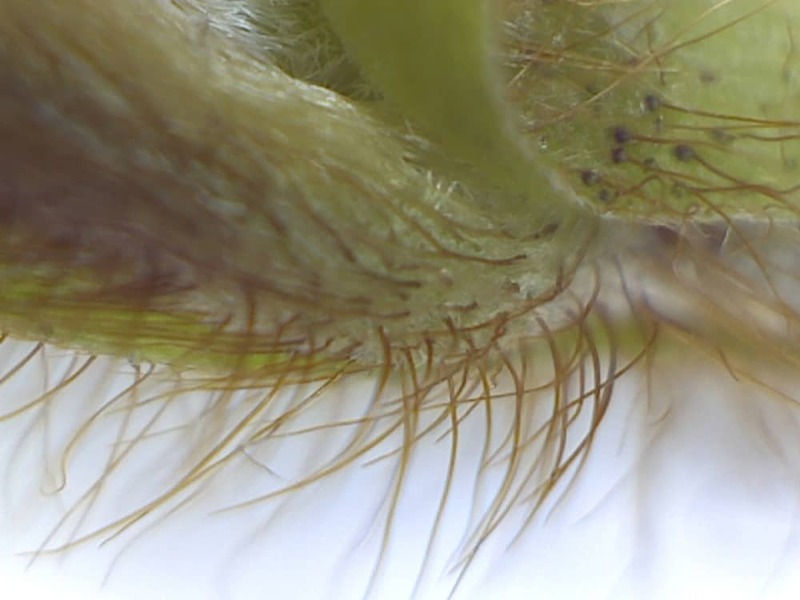 Both leaf surfaces are covered with hairs. 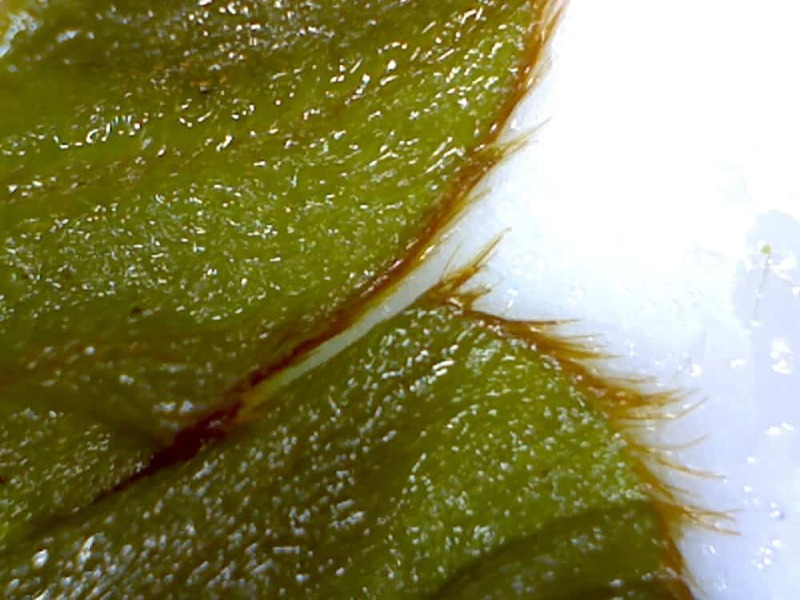 The underside of the leaves have small white hairs and the margins and petioles have large, coarse, rust colored hairs. Purple flower clusters appear in late summer. Kudzu roots at each node along its stem where it touches the ground. The, slender, root goes down a foot or more and is almost impossible to dig out without it breaking off. This is one of the most difficult invasives to try to remove from the landscape with hand tools. Pulling it off of the plants, it is blanketing, is easy … the roots are the back breaking part. 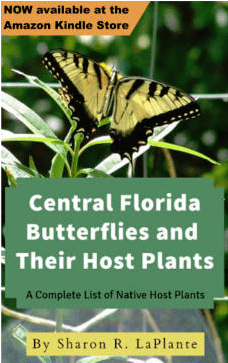 Unfortunately I have this invasive on my property so I turned to the internet to find uses for it. I’m into wild edibles and am brave enough to try anything once. I found lots of comparisons to asparagus and I found a few sites where people used it in salads and as pot herbs so I thought I would try it. I glossed over the references to the abundant hairs on the plant because folks kept saying how once it was cooked the hairs basically disappeared like stinging nettle. Thinking I had just found an abundant free food source I set off with a collection bucket in hand to the kudzu patches with grand ideas. As per the instructions of others I collected tender new leaves and the new growth of the twining tendrils. The new leaves tend to bruise more easily and feel smooth on the underside so I had a mental yard stick to follow. The older leaves are thicker and coarser to the touch. After only a few minutes I had more than enough for my first meal of kudzu. I put a pot of water on the stove to boil and proceeded to clean the kudzu I had collected. I picked the leaves off of the stems and stalks and rinsed them under cold running water. Once the water began to boil I turned it down to a simmer and put the kudzu into the pot. I began to test for tenderness at about five minute intervals. At about ten minutes it was fork tender and looked delicious except for the scary, thick, hairs that hadn’t disappeared like others said they would. I had my doubts but kept moving forward. I put the cooked kudzu in an ice water bath to stop the cooking. I then strained it and put it in a skillet with some melted butter and seasoned with salt and pepper. I now had a skillet of beautiful, glossy, (from the butter), looking greens. I plated some with ignorant bliss. I had decided not to put it under the microscope before I tried it so I would have more of an open mind. Holy cow the hair is so thick on this plant that it is just not palatable. The taste is similar to asparagus. It is easy to harvest and clean. 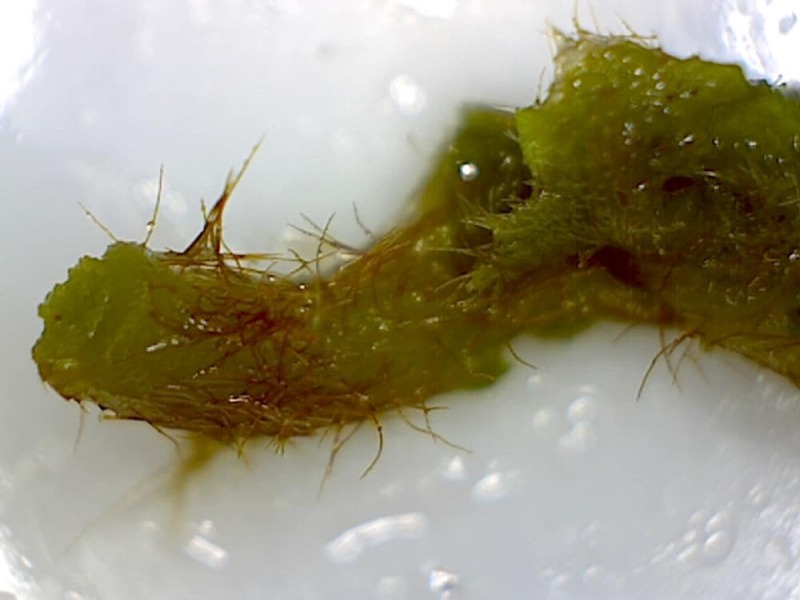 But, a mouthful feels like eating a hairy caterpillar with soft, green insides. Not that I’ve ever eaten a hairy caterpillar, but it’s the closest analogy I could come up with. I have to call rubbish on the folks who said the hairs disappear once cooked. Don’t believe it! It’s total rubbish. It took all of my courage to swallow one bite of that horrendous hairiness and for an hour afterwards I felt like I had hairs stuck in my throat … which I probably did. 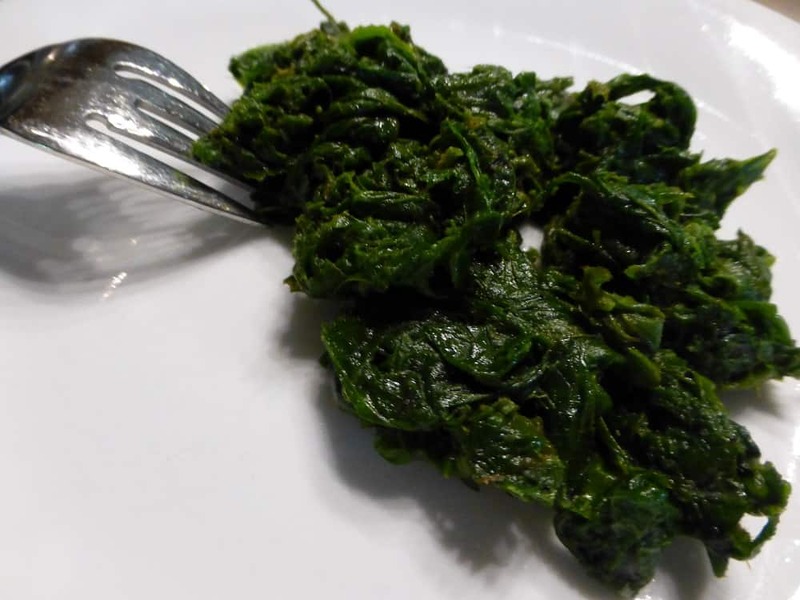 I would venture to say about the only palatable thing from kudzu might be jelly made from the cooked, and strained, flowers, possibly preparing the root like potatoes, or steeping the leaves for a hot tea. I plan on trying all three of those once the shock of the hair-fest wears off.